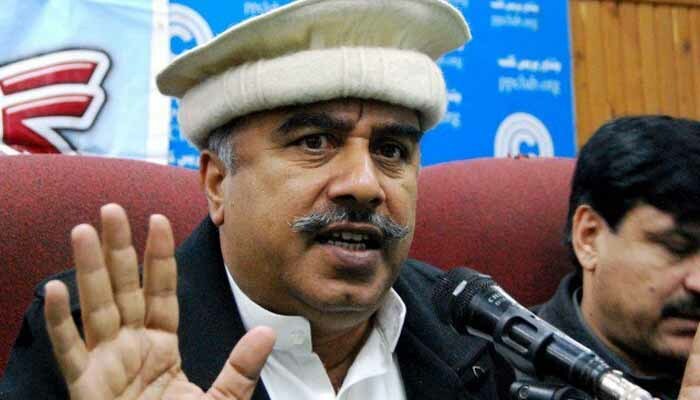 PESHAWAR: Senior leader of Pakistan Tahreekk-e-Insaf (PTI) and former KP Minister Shah Farman took oath as 32nd Governor of Khyber Pakthunkhwa at a special impressive ceremony held here at Governor House on Wednesday afternoon. Chief Minister KP Mahmood Khan, Speaker KP Assembly Mushtaq Ghani, former Governors, Provincial Ministers, Senators, MPAs, lawmakers and Govt officials besides PTI leaders and workersattended the oath-taking ceremony in large number. Speaker KP Assembly Mushtaq Ghani was acting Governor KP after resignation of Engr Iqbal Zafar Jhagra on August 17, 2018.